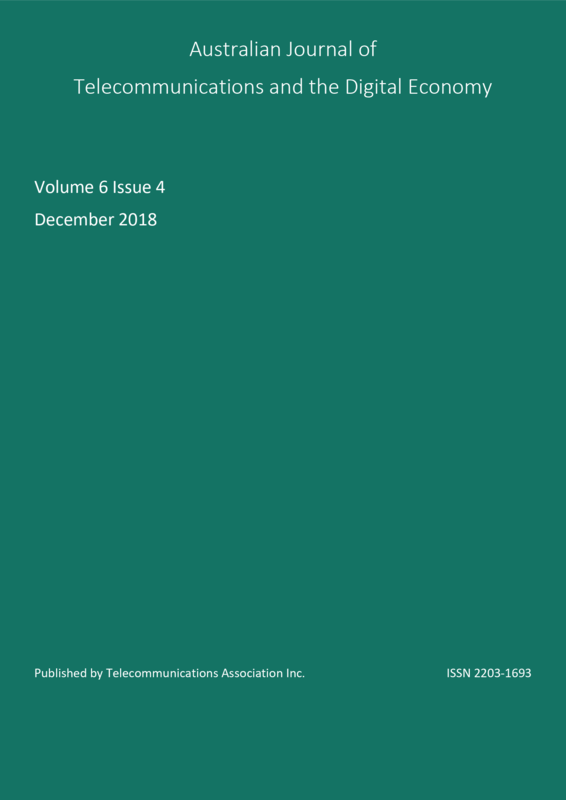 The fourth issue of the Journal of Telecommunications and the Digital Economy for 2018. All papers are peer reviewed and a similarity score search is used to ensure the papers are suitable for publication. Papers are now published continuously. What Now for Australia's NBN?